Her smile was bright, but brittle. You could smash it with a word. There is a town of Victoria, Minnesota. It’s a northwest suburb of the Twin Cities, and I was there for a community festival just a few weeks ago. 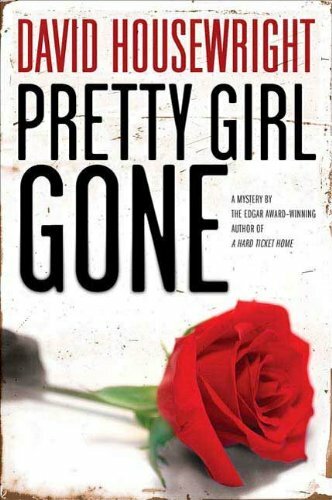 However, in David Housewright’s third Mac McKenzie mystery, Pretty Girl Gone, the town (or at least its name) is transported to southwestern Minnesota. That’s where Jack Barrett, fictional governor of the state, grew up. He launched his career there as one of the “Victoria Seven,” a Cinderella basketball team that famously won the state championship. Barrett’s wife is named Lindsay, and she comes from St. Paul where she was once the girlfriend of our hero, Rushmore “Mac” McKenzie, pro bono private eye. She meets with Mac and asks him to go to Victoria to investigate a nasty rumor that’s going around – that Jack murdered his high school sweetheart, who died the night before the big game. Of course Mac goes to check it out. He will turn over a lot of old rocks, and tangle with some local thugs, before he manages to discover the shocking truth. So far so good. I’m enjoying this series. The politics sometimes seem to lean left, but there are interesting exceptions (as when Mac makes fun of Minnesota’s concealed carry law, and then carries his piece past a “Firearms Forbidden” sign anyway). One thing I like is that author Housewright seems to have a pretty balanced view of small town and lower-middle-class people, who tend to get treated pretty badly by liberal writers. Pretty good. Recommended, with the usual cautions.